Yep even more Minecraft craft ideas from FPSXGames; and this time its a creeper full sized head! Create your own Minecraft creeper head and wear it as a mask with this free printable papercraft template. Use the Minecraft Steve head post to learn how the templates go together. 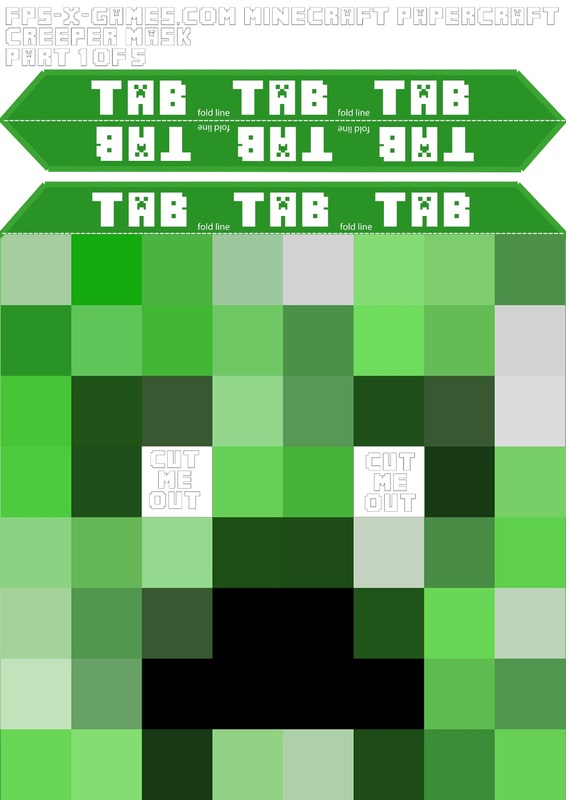 This unofficial printable Minecraft Creeper head is of Mojang specification. 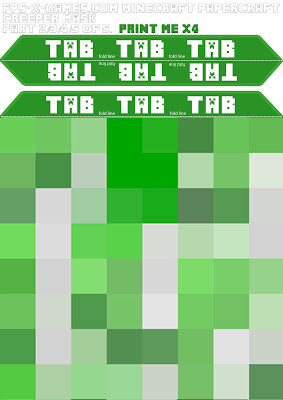 The font used on the Minecraft Creeper printable template was found on dafont by 8Byte Studios. Don't want to print out and make your own Minecraft Creeper head? You could always buy the official Minecraft Steve head over at Jinx. this is cool and my son is so excited. His head however is bigger than your pages, if I print the pages on bigger paper will the proportions still work? I love making all of these things! have you made a stampy cat one? Cool thanks and great idea, my kids love Stampy and squid, I should've thought of that. Niceone. Can u do the creeper mask and enderman mask in PDF file like you did with stampy? I am trying to print them out but for some reason no matter what I do it doesnt fit the page right. Thanks!